BUYS a vehicle with 'Dedicated Gas' needs their head read. They are designed for taxi drivers in big cities who never have a need to drive out of town and, for that use, they are admirable. However, by using a lot of hype about specially designed cylinder heads with specially hardened valves, the manufacturers were able to convince a few motorists to part with their hard-earned cash and invest in one of these unsuitable vehicles to tow caravans around Australia. What lunacy! We camped next door to a caravanning couple in Cooktown a few years back and, due to a fault, their dedicated LPG Falcon just could not be refuelled in Broome. They had waited three weeks for parts to be flown in from 'down south'. and never burnt out a valve during thousands of kilometres of towing all over Australia. What I did find, however, was that in remote areas LPG was unobtainable – either the pump was out of order or they were waiting for a delivery. 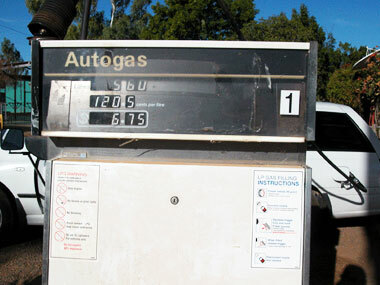 On one trip, all the LPG pumps were out of gas between Alice Springs and Tennant Creek. How are you going now with dedicated gas? Even when it is on sale, it’s often much dearer. Using dual fuel has another advantage besides buying cheaper at the pumps. On long stints you can go further without filling up – using both fuels increases the range and in some areas that’s important, if you strike a strong headwind and your fuel consumption increases dramatically. I found myself in that situation occasionally, going across the Barkly Tableland and down the West Australian Coast. Before converting to gas you need to consider the type of driving you do and the annual distance you are likely to cover. If you do relatively short trips and your annual kilometres driven is relatively small, there probably would be no justification for outlaying a large sum of money for the conversion. That applies particularly if you change your vehicle every couple of years – you won’t get a return on your investment. However, if you cover large distances every year and intend to keep the vehicle for a few years, it’s likely you will recoup your costs and then make savings on your trips. With more and more caravanners towing with big 4WDs nowadays, diesel has become the preferred fuel for the vast majority. It’s a similar price at the pump, it’s readily available and although the fourbies are more expensive initially, the consensus is that the engines last far longer without major hassles, so overall they seem a good investment. They are also excellent tow vehicles. 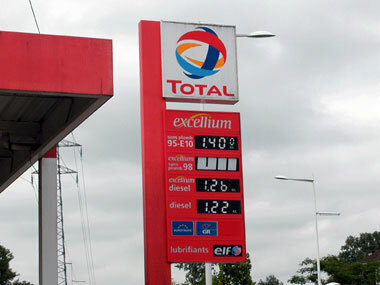 In Europe, diesel is cheaper than petrol and even a lot of smaller cars run on it. It should be consistently cheaper in Australia, in my opinion. I’ve been using a diesel-powered Mercedes Sprinter for the past 18 months and I’m a convert. It’s a bit noisy at idle but just purrs along on the road. I used to get around 18 to 20L per 100km towing with my Falcon, and now I get about 11L per 100km. Allowing for the cheaper price of LPG, I guess it works out to be pretty similar. Petrol? LPG? Dual fuel? Diesel? It’s horses for courses and what suits me might not be the answer for you. But don’t buy dedicated gas if you want to travel widely in our great country. What do you use to fill your tow vehicle? Have your say below.